Over a human lifespan, one is likely to learn much more science from informal education sources such as museums, libraries, documentaries, and the Internet than in the formal education setting of the classroom. Today’s planetariums should strive to use all the capabilities of their systems, in order to continue delivering unique experiences that attract and educate their visitors. Planetariums have gone through an amazing revolution with the advent of fulldome digital planetarium projection systems. For the first time, we have a presentation medium with some standardization. We have the ability to show virtually anything one can imagine. Now a program produced for a 20-meter dome and designed to play back on a multi-million dollar system can play back flawlessly on a 6-meter dome on a system that costs less than $100,000. This should be the “golden age” or the “renaissance” of planetariums – but is it? One of my favorite plays is Oscar Wilde’s “The Importance of Being Earnest.” It is a clever story with crisp dialog and a moral that illustrates the meaning of being true to one’s identity. It has some relevance to a planetarium medium that is searching for its identity in today’s world of fulldome systems. This article is about exploring that identity. Every great teacher you ever knew helped you to love learning. They themselves were lovers of learning. They were passionate about their subjects, and their excitement was infectious. You succumbed to an incurable disease of wanting to know more. These rare and wonderful teachers took you beyond textbooks and rote learning. They taught you that learning wasn’t something that stopped at the end of the school day. It was alive in books, libraries, museums, science centers, historic sites, nature trails, and yes, even in planetariums. Something horrible happened on the way to the 21st century. We have strayed into thinking that the job of education was to merely get students to master a group of skill sets, to pass a series of tests, and to meet some arbitrary standards. In the process, we may have managed to kill all love of learning. We forgot our primary purpose: to make our students and our public visitors life-long learners – to develop people young and old who are in a constant state of knowledge growth and not in an endgame of test and subject achievement followed by academic amnesia. … by some estimates individuals spend as little as 9 percent of their lives in schools. Furthermore, science in K-12 schools is often marginalized by traditional emphases on mathematics and literacy; hence little science is actually taught during school hours. Excerpt from Surrounded by Science: Learning Science in Informal Environments byMarilyn Fenichel and Heidi A. Schweingruber; National Research Council (2010). Planetariums associated with public museums and science centers are active participants in the other 91% of an individual’s life. Over a human lifespan, one is likely to learn much more science from informal education sources such as museums, libraries, documentaries, and the internet than in the formal education setting of the classroom. I would argue that museums, zoos, and planetariums are far more significant educators long-term. These informal educational institutions should not be trapped in a sticky gel of state-mandated test standards for classrooms to justify school field trips or funding support. When I talk to school superintendents they almost always ask “why should they support planetariums when computer desktop planetariums and videos do as good a job helping them meet state standards?” I reply: “That is exactly why you invest in them, because one of the unique purposes of a planetarium is to teach or illustrate those concepts that are difficult, if not impossible, to teach or illustrate in a classroom or on a desktop computer.” Our collective planetarium purpose is to educationally lead our communities, not follow. It is time for planetariums to be earnest and to embrace their true mission of inspiring and instilling wonder and awe, to provoke their public audiences to look beyond their classrooms, to recognize the role of informal education, and to see first-hand an amazing and mysterious universe. Those planetariums that are taking this not-so-politically-correct path are succeeding. Their bravery is rewarded and is an important key to being a successful planetarium. Those of us who were in charge of planetariums associated with museums were often called “planetarium curators,” a strange word meaning “keeper” or “caretaker.” This word has evolved to also mean “interpreter” of objects and collections. For the planetarium, the objects are the Sun, Moon and stars and the Universe is the ultimate collection. I now realize that the role of the planetarium is to celebrate the universe with as much passion and love of knowledge as possible and to help our visitors interpret what they see in the sky. I think this is the role of people who teach in and produce for planetariums. We are not just curators of the planetariums or the stars they represent, but rather, nurturers of the human desire of our students and visitors to know more. The growing number of planetariums with fulldome digital technology (around 800, and projected to reach 1,000 soon) are faced with much higher costs of operation than they previously had with starball projectors and slideshows. One of the big budget items for fulldome is the cost of licensing pre-rendered shows. Most don’t have the funds to produce their own unique fulldome movies and must depend on the works of other larger, better-funded institutions or dedicated independent producers. Conjoined to that challenge is the challenge of how to differentiate themselves if they are all drawing from the same library of pre-rendered content. The fact that each planetarium was unique with its own criteria for quality wasn’t without problems. There were a lot of bad planetarium shows, and some producers rightly lamented on the lack of creative or quality control of their programs. We have always had our planetarium controversies. Some in retrospect may seem silly. In the 1950s, it was the audacity of adding music to our “lectures.” In the 1960s, it was slides, 16mm film, and special effects. In the 1970s, it was pre-recorded narration or “canned” versus “live” programs and the use of automation. In the 1980s, it was computer animation and video. And in the 1990s, it was the rise of fulldome digital planetariums versus the sky quality of optical-mechanical projectors. In spite of the controversy, each of these changes offered the potential to make us better storytellers. Fast-forward to today, and because of the dilemma outlined above, planetariums are in danger of being more like movie theaters than planetariums of the past. Sadly, some of these facilities have become a movie-push-a-button-planetarium with little soul and even less personality. This is not to say that fulldome shows can’t have (along with great scripts, narration, music and stunning visualizations) the unique passion and viewpoint that uphold and advance a planetarium’s core educational mission. For instance, Robin Sip of Mirage3D has transformed his love of science and storytelling into some amazing fulldome productions. I am emotionally moved when I see a Robin Sip show or hear a Carolyn Collins Petersen script because they communicate at a very human level and are on an earnest quest to enlarge our view of the universe. They share their “personal” and unique perspective through a very impersonal digital medium. That is not easy. One notable experiment in making these fulldome programs more human is at the Griffith Observatory in Los Angeles. Here ‘live’ actors in synchronization with the visualizations and music speak a story of the history of humankind’s exploration of the Universe. I have seen the same show twice, once with a female actor and the other with a male actor. Judging from my own reaction and the reactions of the audience, I’d say all of us paid more attention to this more personal approach. The actors smiled, looked you in the eye, and used props to add even more visual realism. My only disappointment is that the actors had to stay with the script and could not deviate. That meant they couldn’t react to a laugh or a nod of understanding or take a path that might have been more relevant. That is where the presentation stopped being human. It made me realize that it might be better to give astronomy lecturers acting lessons on how to speak poetically and passionately about a subject rather than use actors to parrot a well-worn script. So where do we go from here? How do we use these new digital tools with our limited program budgets? Well, fortunately, there are many shining examples around us. 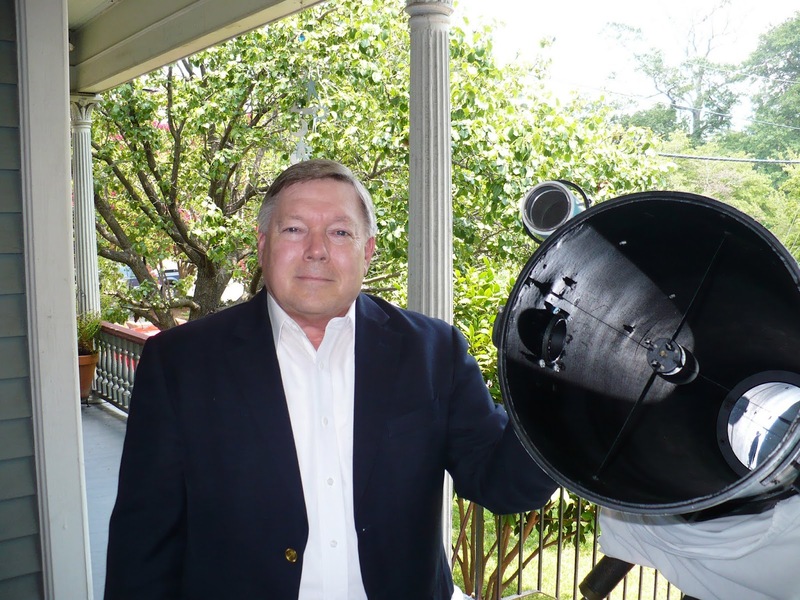 The Tellus Science Museum’s Planetarium in Cartersville, Georgia, USA, under the leadership of David Dundee is one. Dundee has over 30 trained show-runners and operates 8 hours a day, 7 days a week, 12 months a year. His 120-seat theater has averaged more than 100,000 paid admissions per year over the last three years. The secret to this planetarium’s success is David’s philosophy that every visitor shall receive a live (human) guided tour of the night sky preceding each fulldome movie presentation. These are quality educational and entertaining presentations that allow the planetarium to meet the expectations of its audience. Every show is unique and worth seeing. One possible solution to under-funded planetarium budgets is to not depend solely on purchasing expensive pre-rendered content. I believe that live shows presented with passion by knowledgeable humans using all of the capabilities of their planetariums, digital or otherwise (fulldome digital systems do all come with a real-time component for taking audiences on a voyage through databases of the universe or other environments) will sell as many tickets as most pre-rendered programs. A program that offers both live storytelling presentations and packaged shows lets the planetarium and the audience enjoy the best of both worlds. So what is the secret of the universe, planetariums and everything? Be earnest and true to yourselves – be a planetarium, and, most important of all, be unafraid to be human by sharing your love of the Sun, Moon and stars. You don’t need a million-dollar budget or even a thousand-dollar budget to do that. It doesn’t matter what technology you use or what size dome you project upon. If you can approach your presentations with the same awe and wonder you had when you saw your first star-filled sky, you will succeed. For what our audiences want the most is a learned and passionate guide to the heavens. They want someone with a cosmic perspective who will inspire them to go find their own starry night, explore it and, yes, celebrate it. Nothing could be more human and, for planetariums, more important. This article originally appeared in a slightly different version in the March 2012 issue of The Planetarian, published by the International Planetarium Society (IPS). Reprinted with permission.